NEW YORK, New York, January 9, 2015 (ENS) – In a landmark settlement with three environmental groups, the U.S. government has agreed to adopt new rules that ensure seafood imported into the United States meets high standards for protecting whales and dolphins. The plaintiffs: Center for Biological Diversity, Turtle Island Restoration Network and the Natural Resources Defense Council – nonprofit groups representing a total of more than two million people – won Monday’s settlement in the U.S. Court of International Trade in New York. The Court of International Trade, established under Article III of the U.S. Constitution, has nationwide jurisdiction over civil actions arising out of the customs and international trade laws of the United States. Each year more than 650,000 whales, dolphins and other marine mammals are caught and killed in fishing gear somewhere in the world. 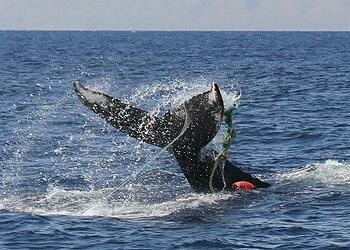 These animals are unintentional “bycatch” of commercial fisheries. nets or are tossed overboard to die from their injuries. Despite U.S. efforts to protect marine mammals in its own waters, fishing gear continues to pose the biggest threat to whale and dolphin conservation worldwide, the groups maintain. The rules implement a 40-year-old provision of the Marine Mammal Protection Act that prohibits the United States from allowing seafood to enter the country unless it meets U.S. whale and dolphin standards. Under the Court of International Trade settlement, the U.S. government must make a final decision by August 2016 about how to implement this requirement and end unlawful fish imports. “If we’d had these standards 40 years ago, we wouldn’t be scrambling today to save the imperiled vaquita. Thankfully, if this law is implemented, other species won’t share their fate,” said Smith. The vaquita, the world’s smallest porpoise, is being driven extinct by shrimp gillnets in Mexico’s Gulf of California. 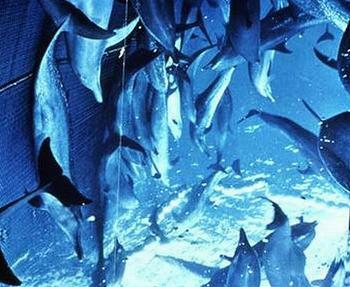 Fewer than 100 vaquita remain. Under the new regulations, shrimp from this region would be barred from entering the United States as it does not meet the more protective U.S. marine mammal protection standards. These standards may include modifying gear and closing fishing in some areas to limit the risk of entanglement of whales and dolphins in fishing nets. Americans consume five billion pounds of seafood per year, including tuna, swordfish, shrimp and cod. About 90 percent of that seafood is imported and about half is wild-caught.